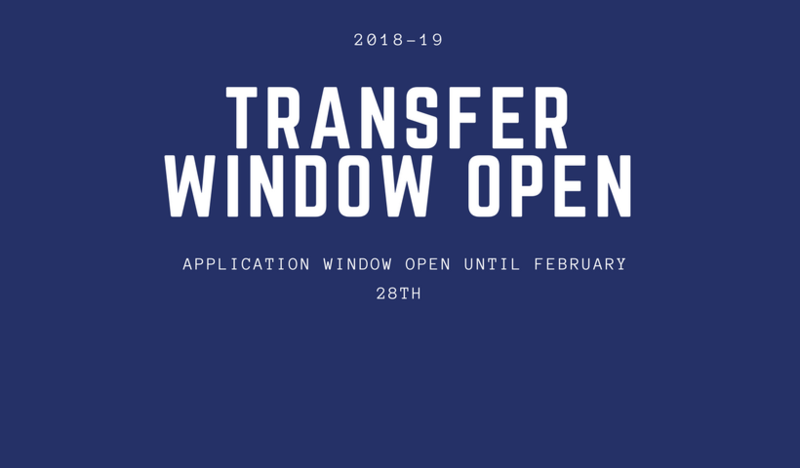 2018-19 Transfer Application Window Open Until February 28th. If you are interested in applying for a 2018-19 Transfer to another school, the online application link is now open and will close February 28th at 4:00 p.m.
To apply for a transfer you need to complete the online application which is located on our district website. From the GAPS home page, click on the Parent Box to the right. Click on the Information button. Click on Transfer Requests near the bottom of the list. Click on the 2018-19 Transfer Application box. Click on the link to our online application. There are several reasons a transfer request may be denied. Those include overcrowding at the requested school, or if a student is failing to maintain minimum standards of attendance, behavior, or academics at their current school. For more information about Student Assignment to schools please refer to School Board Policies JECA, JECB, and JECC. On-line application for the 2018-19 school year is currently open until February 28th. If you have any questions about the transfer process, you may contact the district office at (541) 967-4519 and ask to speak with Jennifer Hart. La solicitud de transferencias 2018-19 abierto hasta el 28 de febrero. Si usted está interesado en solicitar una transferencia a otra escuela para el año 2018-19, el enlace de la solicitud esta ahora abierta y cerrara el 28 de febrero a las 4:00 pm. Para solicitar una transferencia, debe completar la solicitud en línea que se encuentra en nuestro sitio web del distrito escolar. En la página principal de GAPS, marque en el recuadro del lado derecho “Parent” (padres). Marque sobre el botón de “Information” (información). Marque sobre “Transfer Requests” (Solicitudes de transferencias) casi al final de la lista. Marque sobre el botón “2018-2019 Transfer Application” (Solicitud de Transferencia 2018-2019). Marque sobre el enlace de nuestra solicitud para ser llenada en el internet. Hay varias razones por la cual una solicitud de transferencia podría ser negada. Estas razones incluyen la sobrepoblación en la escuela solicitada o si un estudiante no cumple en mantener los estándares mínimos de la asistencia, el buen comportamiento o buen estado académico en su escuela actual. Para obtener más información acerca de la “Asignación del Estudiante” a las escuelas, por favor refiérase a las Reglas de la Mesa Directiva: JECA, JECB y JECC. Las solicitudes en el internet para el año escolar 2018-19, están abiertas actualmente hasta el 28 de febrero. Si usted tiene alguna pregunta sobre el proceso de transferencia, usted puede contactar al Centro de Bienvenida al (541) 704-2376. The second meeting of the new Anti-Bullying, Anti-Harassment Task Force is scheduled for Feb. 7 at Albany Options School at 6 p.m.
More than 40 parents, community members and staff attended the first meeting on Jan. 24. Participants had the opportunity to share, in small groups, why they were attending and what outcomes they anticipating. 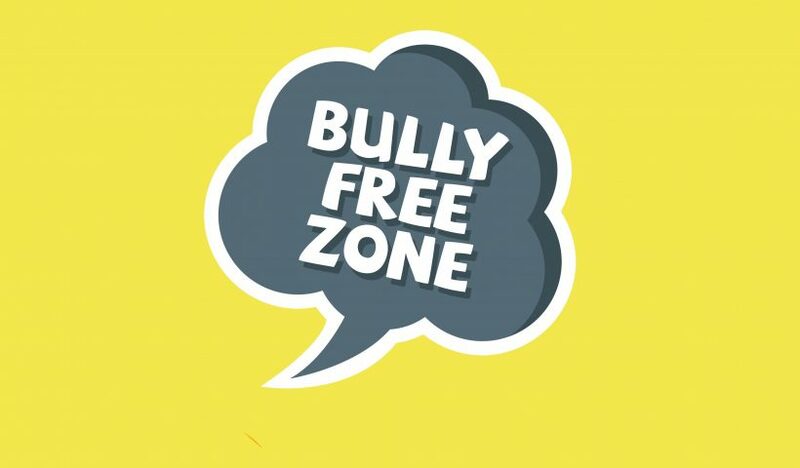 At the meeting, district staff presented and overview of bullying and had participants break into small groups to analyze various aspects and data relating to bullying that they could share out to the larger group. At the end of the evening, the small groups focused on beginning to look at the various roles community stakeholders play in addressing the issue of bullying in our community. A summary of those findings will be presented at the Feb. 7 meeting. SELCO Community Credit Union has announced application dates for their 2018 SPARK! 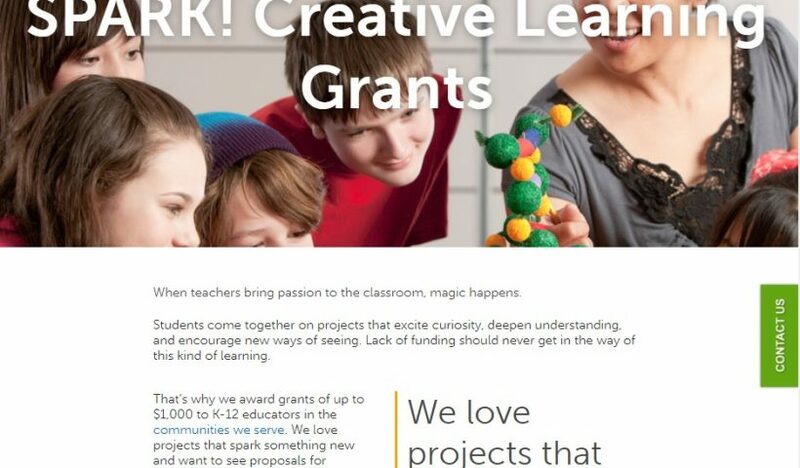 Creative Learning Grants. Grants are available up to $1,000 for K-12 teachers. If interested, find details about grant requirements and scoring criteria on the Selco Community Credit Union website. Visit selco.org/SPARK for details and to apply. 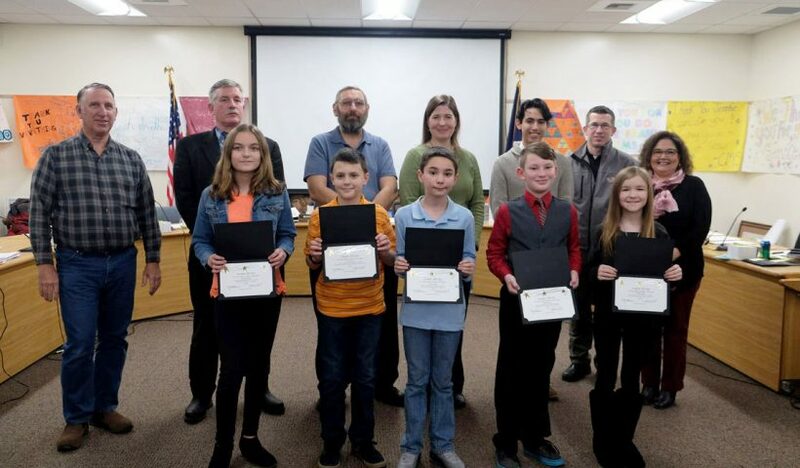 On Monday, the School Board honored Student All-Stars from Oak Elementary School for earning the highest scores on the 2016-17 state assessments in language arts, math and science. Lilyanah Poris, fourth-grade math: Lilyanah is an all-around joy to have at Oak. She is careful and deliberate in her learning and always takes the time to correct her mistakes. She takes responsibility for her learning and consistently works hard to do her best. Luke Haury, third-grade English language arts and math: Luke is a dedicated student, and his love of learning is evident in all that he does. He is constantly challenging himself and others to look for alternative strategies and new ways of learning. Darien Rowe, fourth-grade English language arts: Darien has a sharp mind and is always curious about how things work. He’s a student who thinks outside of the box and is never afraid to ask questions. Mason Luke, fourth-grade English language arts: Mason is a respectful and responsible student who is in charge of his education. He is a pleasure to be around because of the attitude he brings to school every day. Ashley Gibbs , fifth-grade English language arts: Ashley’s prior teachers describe her as sweet, focused and a hard worker. She was a quiet leader at Oak who was always willing to share her love of learning with her fellow classmates. Not present: Ryan Diller, fifth-grade math and science: Ryan has moved, but he is missed at Oak. He was a very mature and thoughtful student who truly wanted to know how everything works. He had an active, curious mind and was a delightful student. The bond project plan and timeline is nearly complete, and work is scheduled to start this summer at school sites around the district. 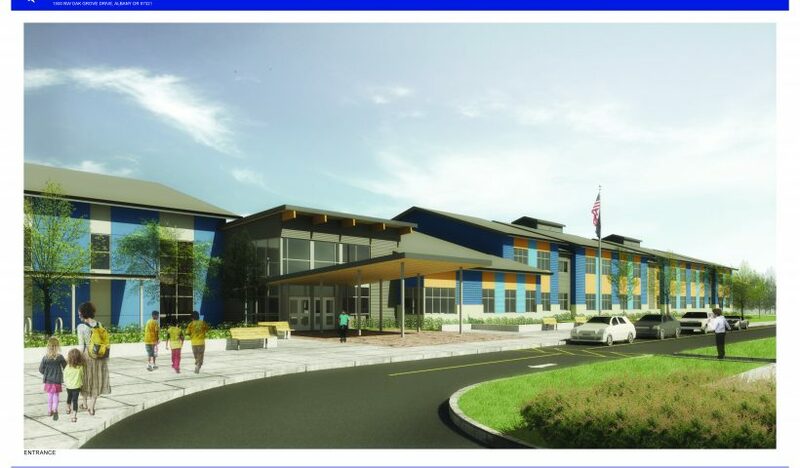 This summer, high-priority projects at 18 school sites will begin, including upgrades at 11 elementary schools, three middle schools, two high schools, the district office and facility department. The project list includes Americans with Disabilities Act (ADA) improvements, fire alarms and doors, food science classroom and PE locker room upgrades, and improvements to address HVAC, plumbing, paving, roofing and seismic needs. See the list of school sites and projects. Demolition and reconstruction work will also start at Oak Grove Elementary School as soon as school is out for the year. Designs for the new building are complete. See the latest drawings.